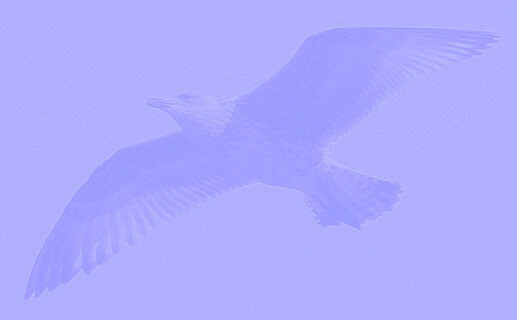 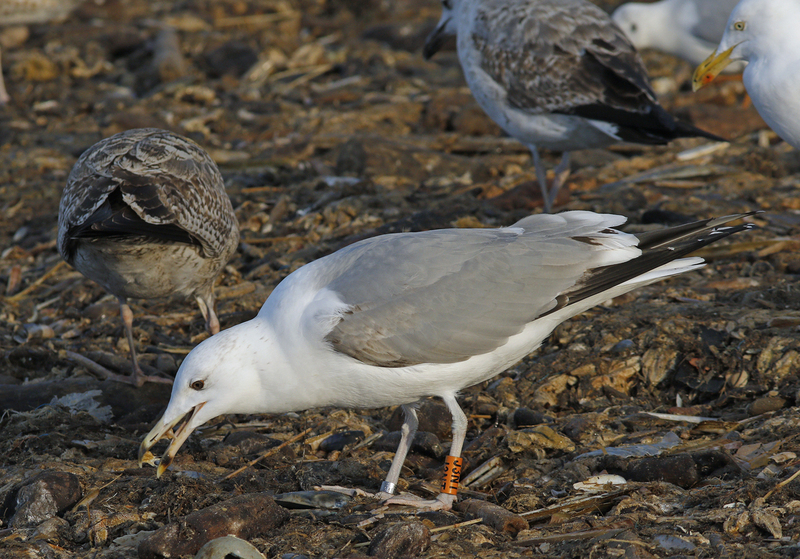 Larus cachinnans 4CY J3NT January 24 2017, Scheveningen, the Netherlands. 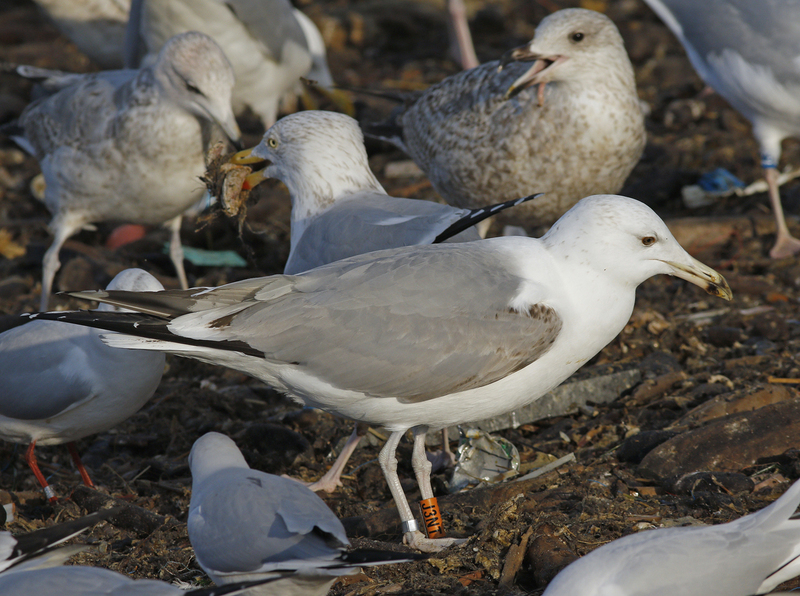 Caspian Gull ringed orange J3NT and metal ring BTO GV15821. 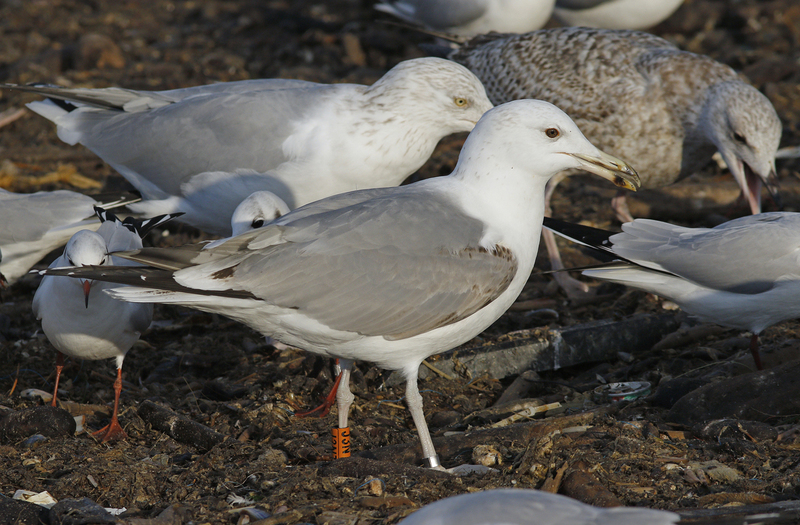 Ringed as 2CY in March 2015, HY2014.